Growing up in the mountains, we experienced a lot of fog that settled throughout the hillsides and valleys, making driving frightening and very dangerous. I couldn’t see beyond a few feet in front of my car. I might not have known whether the road would curve or move straight. I wouldn’t know if another car was in front of me, or if an object or animal (we had many deer) would be trying to cross the road. I gripped the steering wheel and held on, praying for safety. It often reminded me of surviving the 4th trimester, or as I like to call it, the 3 month fog. After happily delivering two precious babies, I was reminded of those frightening foggy days in the mountains because most days, I felt like I was wandering through that same fog. I thought something was wrong with me because I was tired, my thoughts were unclear, and some days, I simply felt lost. This article will help plan a minimalist nursery! I can happily report that indeed, there were good reasons I felt that way (actually, my husband struggled as well, so it’s not just a female issue), and after about three months, I started to feel clearer in my thoughts, and my energy level started to return. As our children grew older and hubby and I visited with other new parents, we constantly referred to this time in our parenting as “the three month fog.” We encouraged others that if they experienced a time similar to what we had experienced, that fog would eventually lift. Nap when your baby naps. House cleaning can wait, even if it means eating on paper plates for awhile. Rally your community of people around you. Ask for help. If your house does need cleaned, ask someone to come clean it for you, and then return the favor or pay it forward when the opportunity comes. Ask your community of friends and family to help with meals. Not having to plan a menu or even go grocery shopping is a huge gift. Ask your friends or family to hold baby when he/she is awake so you can nap. Older parents especially are just waiting for a chance to cuddle your baby, sing to him/her, and inhale that intoxicating baby fragrance. You will rest well, knowing Baby is being cared for. Whether you’ve delivered naturally or from a cesarean section, your body has experienced trauma and needs extra healthy nutrition, care, and rest. Your hormone levels are dancing around in your body like a dancer on a stage. Try not to make any major decisions about your life, take deep cleansing breaths, and feel what you need to feel. Again, rest (there’s a theme here!). Try to get some sunshine and fresh air daily. Most of all, enjoy this time as best as you can, as these first days with your new baby are fleeting. The best gift my spouse gave me was reminding me I was home to care for my baby, and that was my focus – nothing else. So, play with her feet. Gaze into her eyes. Talk to her. Marvel at the miracle of your sweet little one. You might not enjoy the fog, but you can journey through it in healthy, wonderful ways. 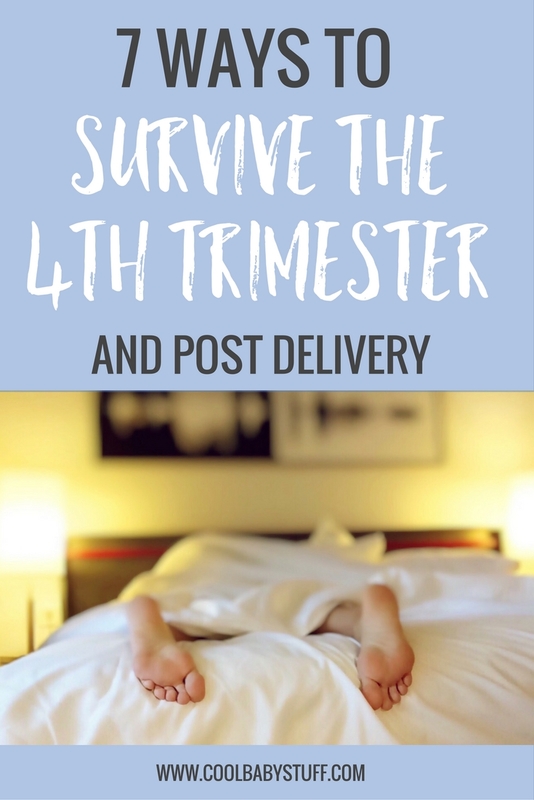 How are you surviving the 4th trimester?